In partnership with the World network 5ieme SKYNET WORLDWIDE EXPRESS , Tunisia Express supplies a service(department) of delivery and transport of your parcel and your documents abroad for the deadlines(extensions) precise who answer your requirements and your needs, we offer the possibility of following the delivery, of having the proof of delivery, of being notified by SMS or of e-mail. Tunisia Express guarantees a fast delivery of your urgent and sensitive documents towards any destination. Our role is to deliver packages safely, packages are well packaged and processed at customs to ensure timely delivery. We also ensure the import and delivery to the home of your packages. non-priority services we ensure delivery at low cost. 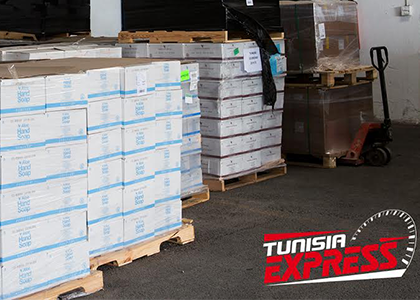 Tunisia Express ensures receipt of payment upon delivery in a secure and reliable manner. We offer this service for customers who wish to send their items for repairs or for retailers wishing a return free of charge. We ensure receipt of shipping costs from a shipper, recipient or third party.